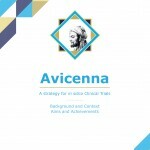 The Avicenna Roadmap. We have had over 200 contirbutors, spanning over the last 18 months, with 5 great events. The next stage will be to proof read and arrange the final document, to be unveiled in September. The Roadmap will summarise all the discussions and views gathered during the different events, and will be used by the European Commission as a guide for future investments. It will describe the route by which in silico technologies will be introduced into the development and assessment, both pre-clinical and clinical, of new biomedical products. The project is named after the Persian philosopher Avicenna who first introduced the concept of the clinical trial in his “Canon of Medicine”, completed around 1025 AD. The fundamental nature of clinical trials has changed surprisingly little since Avicenna’s time. 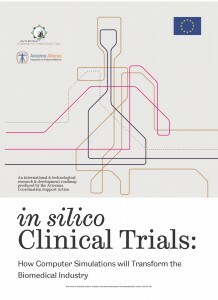 Tasked by the European Commission (EC) to produce a Roadmap for the introduction of in silico clinical trials, the Avicenna project began in October 2013 and runs until September 2015. The project will develop and promote this Roadmap, and work to overcome the legal, financial, organisational and technical barriers that could slow the adoption of computer simulation in this domain. The project is co-ordinated by the University of Sheffield and the consortium includes three partners: VPH Institute, Lynkeus srl and Obsidian Biomedical Consulting Ltd.
News avicenna, Avicenna Alliance, clinical trials, European comission, in silico, insigneo, lynkeus, obsidian, university of sheffield, VPHi. permalink.